As The Macabees have just released their critically acclaimed fourth album ‘Marks to Prove it’, it would be interesting to take a step back and look at where they started by zoning in on their colourful debut album ‘ Colour It On’. When the album came out the indie music scene was in a a relatively dire state, with only Arctic Monkeys only really flying the flag, do not even mention Razorlight. They had one song. So when The Maccabees graced us with this album it was like breath of fresh air after a year working in a dust ridden warehouse. The album had a number of high points throughout, and never lets you down with any song. You can nit pick all you like but, you’ll struggle to find a fault. As the album opener ‘Good old Bill’ settles you in , ‘X-Ray’ hits you and you weren’t ready for it. The frantic pace of the song is good enough, but combined with the aggressive riff the song completely blows it out the water. ‘All In Your Rows’ , ‘Latchmere’ and ‘About Your Dress’ provide you with with those moments of the crowd unifying and screaming the words straight back at the band. Not all songs have to be intricate and mind boggling and, these songs prove it as none of them are particularly doused with guitar trickery,but they have the vital component which is getting you hooked. The highlight of the album could be several songs, but for in this particular instance it’s ‘First Love’ as it takes you from the depths of subtle guitar playing to a complete riot. The Maccabees have this particular skill in abundance, and the frightening fact is that they had it from the get go. Each classic album has that slow song, which everyone attempts to learn on guitar and sing to themselves about a girl, ‘Toothpaste Kisses’ is that song. Its completely stripped back to an almost lo-if recording with the vocals and guitar sounding underproduced, giving it that honest feeling, which surround ps the album. 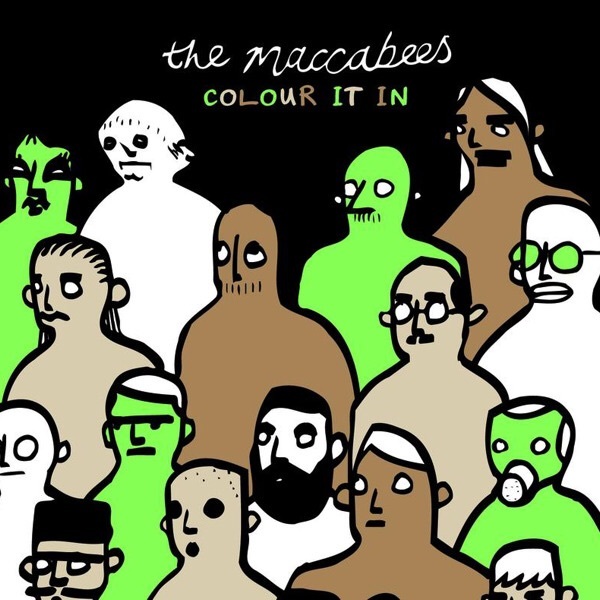 This sparked off something that has blossomed into one of the UK’s most underrated bands, but the people who appreciate and understand The Maccabees, will hold them dear forever. Previous Previous post: 10 Questions for Annique! Next Next post: NEW MUSIC NOW! Little Comets – "Common Things"